21 January is Red Squirrel Appreciation Day, which is celebrated annually. We all love to see these charismatic mammals in their natural habitat but how much do you know about them? Here is a summary of facts about the lovely red squirrel (in a nutshell). Red squirrels are protected by the Wildlife and Countryside Act (1981), as are the shelters they build (known as dreys). They are found primarily in woodland areas across Scotland and the North of England, but also in Wales, Ireland and the Isle of Wight. The grey squirrel was introduced to the UK in the 1800s. Following its establishment, the estimated population has grown to exceed 2 million individuals, compared with the estimated 140,000 red squirrels that remain in the wild. The grey squirrel is larger than the red and can compete more aggressively for territory and food. In 2015, an organisation was formed called Red Squirrels United. This group is comprised of volunteers and academics and focuses on conservation based in England, Ireland and Wales. Click on the link to view a video clip of a beautiful red squirrel captured north of Gilsand in Northumberland – RSNE, 14 January 2019. From January each year, EcoNorth can carry out cone searches in order to indicate the presence of red squirrels in an area, although the optimal timing of these can vary from location to location. From March to May and September to November, EcoNorth can conduct more thorough transect surveys to establish whether the species is using an area. For more information on the times of year we can carry out a survey, please click here. 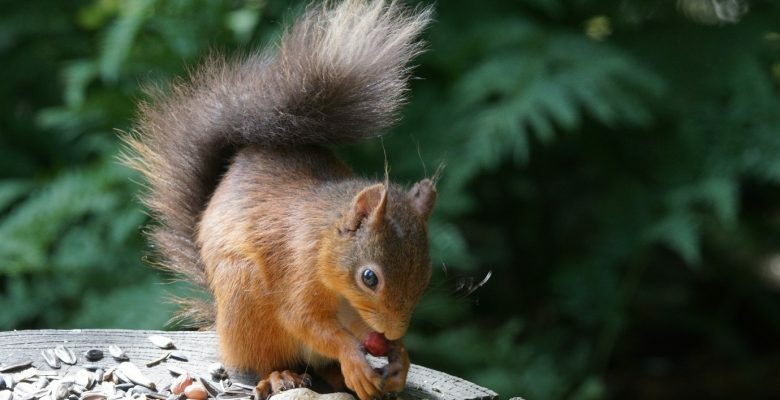 If you need to carry out works on an area that is suitable for red squirrel habitation or have any questions about how EcoNorth can help you, please don’t hesitate to get in touch.